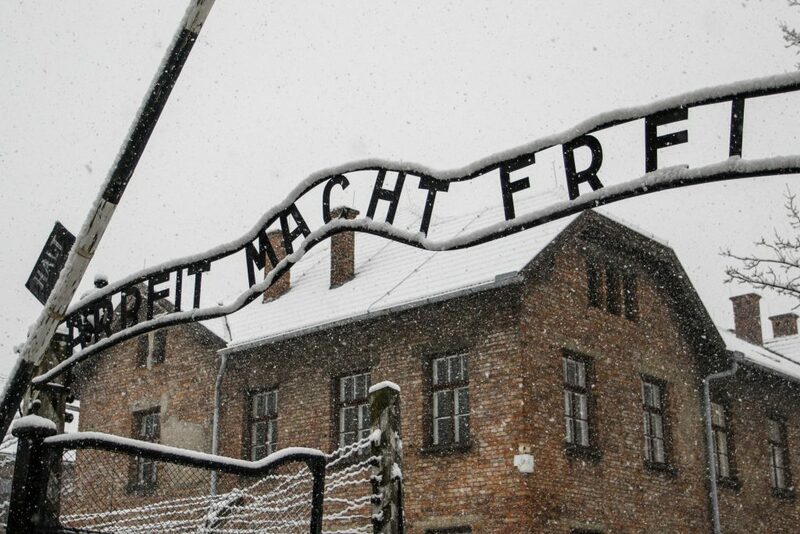 Vice President Mike Pence will visit the Auschwitz-Birkenau death camp site on Friday, and tour a memorial to Jews killed at the former Nazi extermination camp in Poland, the White House said on Monday. Pence will tour the site in southern Poland, with Polish President Andrzej Duda, the vice president’s office said. It will be Pence’s first visit to the infamous prison camp operated by Nazi Germany during World War II. Portions of the camp where an estimated 1.1 million people died are preserved as a museum and memorial. Pence will be in Poland this week for a joint U.S.-Poland conference on Middle East peace and security. He also will hold defense meetings in Poland as the Pentagon considers a potential permanent base for U.S. forces in the county. Pence, a conservative Christian, is among the Trump administration’s strongest supporters of Israel. He is expected to meet with Israeli Prime Minister Binyamin Netanyahu when both are in Warsaw earlier in the week for the Mideast conference. Pence’s keynote remarks at the Ministerial to Promote a Future of Peace and Security in the Middle East are likely to highlight what the United States and Israel claim is Iran’s widespread malign influence across the Middle East. “The Ministerial, co-hosted by the United States and Poland, seeks to bring together countries concerned about instability in the region to share their assessments and offer ideas on a better way forward,” the White House said in a statement last month announcing the session. Jared Kushner, President Trump’s son-in-law and lead envoy for Israeli-Palestinian peace, is expected to attend the conference, along with negotiator and former Trump lawyer Jason D. Greenblatt. A U.S. proposal for a peace settlement between Israel and the Palestinians, two years in the making, is likely to be released by the summer. Palestinians have boycotted meetings with Kushner and his team for more than a year in protest of Trump’s decision to declare contested Jerusalem as the Israeli capital. Trump has said the decision – and the relocation of the U.S. Embassy from Tel Aviv to Jerusalem – does not prejudge Palestinians’ claims to East Jerusalem for the capital of a future state.